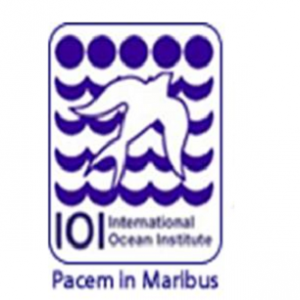 The International Ocean Institute (IOI) was founded in 1972 by Professor Elisabeth Mann Borgese. The NGO has a global network with 22 operational centers. The headquarters are hosted by the Government of Malta at the premises of the University of Malta and supported by the Ocean Science and Research Foundation (OSRF). The mission of the IOI is to ensure the sustainability of the ocean and promote peaceful and sustainable management of the ocean for future generations. 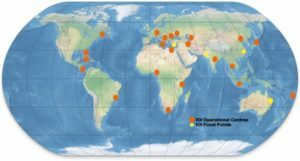 The IOI-SA coordinates the IOI African Region (including IOI-Kenya, IOI-Egypt & IOI-Nigeria). It is based at the Kirstenbosch National Botanical Gardens in Cape Town, South Africa as one of the partners of the South African National Biodiversity Institute (SANBI). IOI-SA has ongoing programs on Ocean Governance, Marine Invasive Species, Marine Pollution, and Biodiversity Informatics, each with a strong focus on technical support, capacity building and policy development. The IOI-SA draws from broad expertise with a network of Associates who are specialists in their fields. IOI-SA focuses on Ocean Governance capacity development in Africa through training programmes aimed at harmonising management, policy and development. The IOI-SA produces research, policy and strategy-related outputs to address key challenges of sustainable ocean governance in support of the communities, governments, regions and international organizations concerned with securing a peaceful, prosperous and healthy future for all. The IOI-SA maintains particular focus on rural coastal communities, decision-makers, post­graduate students and schools. It achieves its mission through collaborating and networking with organizations and government agencies in Africa that are active in the sphere of marine and coastal management and sustainable livelihoods. Use skills and technology to develop as a center of focus in electronic resource sharing for IOI and related organizations in the global context.